The First English Banana Trust Summer School was a Great Success! Last week the first English Banana Trust Summer School was held at Greshams School in Holt, Norfolk. The focus was on teacher training and how to teach without a course book, and we were pleased to welcome four English language teachers from Russia, Hungary, and Serbia. Course tutor Matt Purland focused on training the teachers to teach without using a course book, based on methods from his recent manual You Are The Course Book. 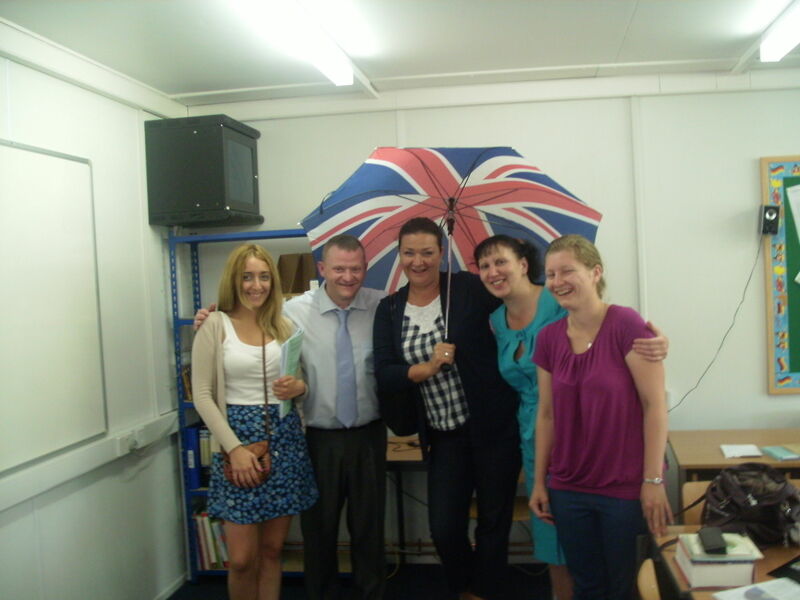 The teachers thoroughly enjoyed the week, which was sponsored by English Banana Trust. Apart from five hours of lessons per day – and plenty of homework! – the participants were able to enjoy a diverse number of outings ranging from a visit to the famous seal colony at Blakeney Point, a guided tour of Norwich with an experienced historian, and several delightful shared meals and get-togethers with trustees and friends of the Trust. Categories: connected speech, English Banana Trust, Latest Projects, summer school, Teacher Training, Teaching, You Are The Course Book | Tags: English, English Banana Trust, ESL, free, learn, summer school, Talk a Lot, teacher, tips, tutor | Permalink. Categories: New Material, Online Lessons, Podcasts, Pronunciation, Reading, recommended, Teacher Training, Teaching, Vocabulary | Tags: advice, download, English, ESL, ESOL, free, learn, material, professional, pronunciation, teacher, teacher training, tips, tutor, vocabulary | Permalink. Categories: Books, English Banana Trust, Free Licences, New Material, recommended, Talk a Lot, Teacher Training, Teaching, Vocabulary | Tags: advice, book, download, EFL, English, ESL, ESOL, free, professional, teacher, tips, tutor | Permalink. Categories: News, recommended, Video, Vocabulary | Tags: advice, English, ESL, free, learn, tips, tutor, video, vocabulary | Permalink. Pay or not Pay for Online Learning? Join us for this thought-provoking free online class this evening! Categories: Online Lessons | Tags: English, ESL, free, learn, online lessons, questions, teacher, tutor | Permalink. Categories: Online Lessons | Tags: advice, discussion, English, ESL, exam practice, IELTS, intermediate, learn, online lessons, practice, pronunciation, questions, speaking, teacher, tips, tutor, video | Permalink.